Bivujit Mukhoty, Programme Manager, delivered a Student Orientation Programme on 2nd September, 2016 at Sir Padampat Singhania Education Centre, Kanpur. This orientation was attended by 40 Award aspirants along with the Award Leaders of the school. Mr. Virinder Singh Moudgill, Principal, also attended the orientation programme. On 23rd September 2016, the Programme team delivered a One-day Award Leader Training Workshop to 28 participants of Vidhyashram International School, Jodhpur. The Programme Manager shared details about the four sections of the Award along with the framework and philosophy. The training was concluded by awarding the training certificates to the participants by Dr. Bharti Swami, Principal. 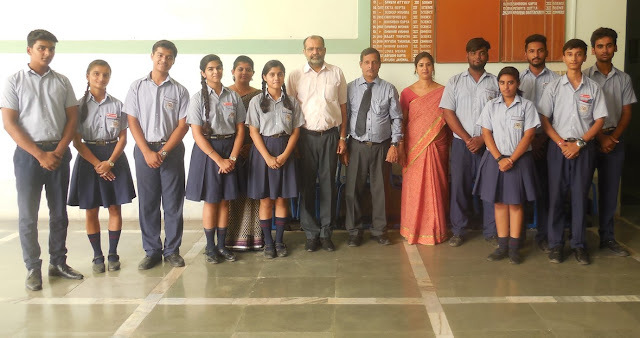 On 24 Sep 2016, Bivujit Mukhoty visited Bodhi International School, Jodhpur and met with Jay Sharma (Principal) and introduced the Award Programme to the school. On 26th September 2016, the Programme team visited Maxfort School, Dwarka, Delhi and The Indian Heights School, Dwarka, Delhi and delivered an Orientation Programme to Teachers and Students. Sukanya Khan, Award Leader from Dhirubhai Ambani International School, Mumbai sharing an inspiring experience with an Award Participant. My profession as a high school Physics teacher requires me to spend about one-third of each day with teenagers. While the process of nurturing curious young minds is intellectually very stimulating and gratifying beyond words, there have been times when looking through the one-dimensional lens of academic performance, I have felt inadequate in my understanding of a child whose world extends way beyond the confines of the classroom. So when, five years ago, the responsibility of coordinating the IAYP at my school was handed over to me, I knew that a new chapter had begun in my journey as an educator. I had been closely associated with a number of service initiatives even before my association with IAYP began and working closely with cancer patients and their caregivers was one of them. Every week I would accompany a handful of students to the facility in the neighborhood where the volunteers would chat with the adults, play with the children and generally try and engage them with activities that would take their minds off from their illness, albeit for a brief period. In my first year as the coordinator, I witnessed a transformational experience there. A student named Aman joined this group of volunteers and after his first visit, requested me to shift him to a different service activity. He said that the sight of the patients, many of whom were amputee children, with their shaven heads was too depressing for him. His friends and my colleagues weren’t surprised by his reaction and they told me that Aman possessed neither the sensitivity nor the empathy and level of commitment required for a service activity of that kind and it was likely that the reason for his initial interest was the fact that the facility was close to his residence. I found out that in addition to being at the bottom of the pile in academics, sports and co-curricular activities, he had gotten into trouble in the past due to his irresponsible behavior. I was also made privy to the information that he had been advised to meet the counselor. I cannot remember the reasons for my judgment on the basis of which I sat him down and requested him to visit the facility just once more with me. Once we were in the facility, I stayed next to him all the time, gently asking him to speak to the children in the local language and make an effort to make friends with them. As the afternoon came to an end, I found myself at the corner of the room opposite to where Aman was. While he was teaching Bollywood dance steps to a four year old, my eyes were welling up with pride. Aman turned out to be the most dedicated student towards service in his entire batch. It was his idea and initiative to engage with care givers and patients in painting diyas and making greeting cards and gift pouches. The funds raised from selling those were used for purchasing sewing machines and utensils. Aman ran extensive and aggressive campaigns that in addition to cash donations, led to two computers being donated to the facility. He was one of the volunteers who taught computer skills to the inmates after school hours. Last but not the least, his painting on canvas, depicting the varied hues of life, was auctioned at the school fete and raised two lakh rupees for the patients. It might sound like a fairy tale, but it is true that Aman’s experience at the facility through the IAYP Programme gave him the confidence that he had never experienced before. His grades began to improve and his inner turmoil found a beautiful outlet through his paintings. Kapil Bhalla (National Director) and Priyank Kumar Gupta (Head IT and ORB) met the members of Sankalp Sahodaya South-West Delhi on 16th September 2016 at Nirmal Bhartia School, Dwarka. The aim was to introduce the Award Programme to member schools. Sahodaya, conceptualized by CBSE in 1986, has materialized in the form of Sankalp Sahodaya South-West Delhi in May 2007. The Sahodaya has 27 member schools. Kapil Bhalla briefed the participants about the philosophy, framework, benefits and various sections of the Award to the attending principals. 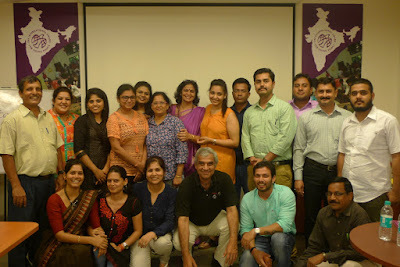 The International Award for Young People, India organized an Award Leader Training workshop at the Award Training Centre on 16th and 17th September, 2016. The two-day workshop was attended by 16 participants from different institutions across India, including Mody School, Lakshmangarh; Harvest International School, Ludhiana; Bawa Lalvani Public School, Kapurthala; Chinar Public School, Alwar; Pt. Uma Dutt Public School, Dholpur; The Aditya Birla Public School, Kotputli; New Digamber School, Indore, Pathways World School, Aravali; and DPS International School, Saket, New Delhi. The workshop began with an ice-breaking session where the participants introduced themselves and shared their expectations from the workshop. This was followed by an introduction to the Award, and sessions on its philosophy, framework, benefits of the Award and how a volunteer can play a crucial role in the Award programme. 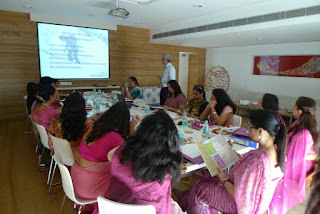 The participants were given in-depth knowledge regarding the four domains of the programme i.e. Skills, Service, Physical Recreation and Adventurous Journey and also the Residential Project for the Gold Level. The training team also made them familiar other important aspects related to the Programme, which included Risk Management, Online Record Book and Brand Pack. The workshop was led by Kapil Bhalla (National Director), Bivujit Mukhoty (Programme Manager), Priyank Kumar Gupta (Head IT and ORB), Pratibha Kumari Singh (Member, National Training Panel) and Ankit Durga (IGE Rep, India). The workshop included interactive and fun sessions to engage with the Award Leaders. The Programme concluded with the presentation of participation certificates given by Kapil Bhalla. 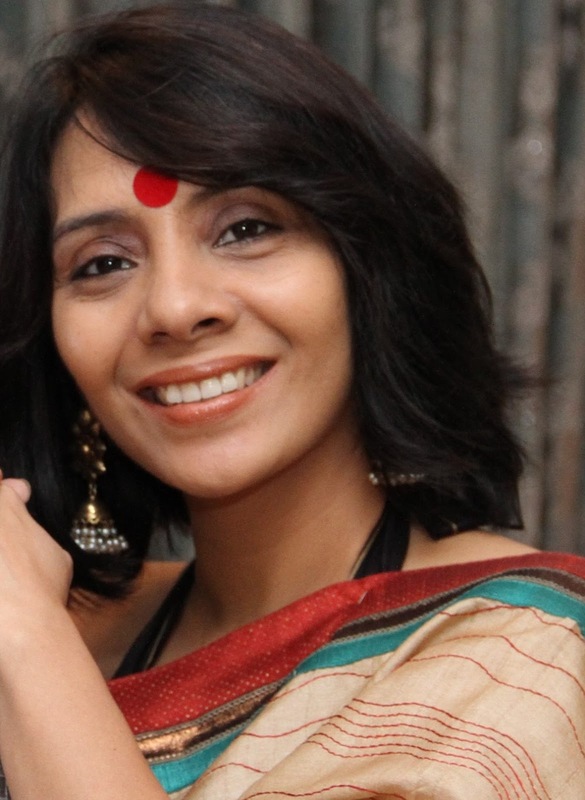 Gold Award Holder Anupama Das from Sri Sarada Math, Kolkata, is sharing her life transforming experience with us. I have been associated with the Award Programme since June 2012 at Sri Sarada Math-Rasik Bhita. When I started my Award journey I was physically unfit and was very worried about the Adventurous section of the Award. In spite of this, I didn’t lose my confidence and started working hard under the remaining three sections of the Award. Gradually, as I monitored my progress, I started gaining confidence and at last got ready for my first Adventurous Journey at Susunia Hills, Bankura. I live in a small village in the Hooghly District and have never been anywhere outside my village, so, it was for the first time that I came in contact with nature outside my village, and the experience of this journey was such that I would treasure and savour all my life. In 2015, I completed my Gold Award Journey and received my Gold Award at the Gold Award Ceremony organised at New Delhi. It goes without saying that these three years of my association with the Award not only instilled in me new confidence but also transformed my personality to a larger extent. I now see myself as a confident and assertive individual who can express her self to anyone. Sharing a personal experience from my life here would probably highlight my point better. In my society and village, the act of child marriage is very common. Girls are married at a very early age and as a result, they are not able to continue their studies. I encountered a similar situation in my life when my family forced my elder sister to get married to an unknown individual. The Award gave me confidence to fight against this social evil and I was able to protest against this incident that was going to happen with my sister. I fought with every member of my family and convinced them to stop this early marriage. At the same time I also took the initiative to find a job for my sister so that she could start earning and begin a new chapter of her life. It was a dark phase that I had gone through but with courage and confidence I achieved success at last. It was not easy to start a career like other girls of my city. But I am happy to write that my elder sister started working in TCS (Tata Consultancy Services) and this year after completing my graduation I too got placed in TCS. Besides this, I have also been involved with Gender Diversity Empowerment Project as an intern from our village. I am grateful to my mentors and our Award Leader who have always supported me and encouraged me to overcome difficulties and challenges. Now, I can see transformation taking place in my village. By seeing my journey and success, most of the girls are interested in award Programme and want to continue their studies instead of getting married. I feel immense pride in being a pioneer of this initiative. While I express my deepest gratitude to the Award, all I could say at the end is thank you Award for making me so confident! Kapil Bhalla along with the NAA team met and discussed the opportunities to expand The Award Programme at CBSE affiliated schools of Jalandhar city. The discussion was held during the orientation programme organised for Jalandhar Independent Sahodaya Schools at Cambridge International School, Phagwara. Mrs. Ekta Dhawan, Principal, Baba Lalvani Public School, Kapurthala; Ms. Sonia Walia, Principal, Cambridge International School, Nawanshahr; Mr. Jorawar Singh, Principal, Cambridge International School, Phagwara; Mrs. Ravinder Mahal, Principal, Cambridge International School, Nakodar; Mrs. Aarti Dada, Principal, Cambridge International School, Kapurthala and Dr. Sandeepa Sood, Principal, Saffron Public School, Phagwara attended the Orientation and showed their interest in expanding the Award programme. Besides deliberations on various expansion opportunities of the Award, Mr. Bhalla briefed the attending delegates about the philosophy, framework, benefits and various sections of the Award and informed them that the CBSE Board has recently advised that First-aid learning should be made an integral part of the CCE curriculum, and of the four mandatory sections of the Award, First-Aid learning can be done under the Skills Section of the Award. In addition, Ms. Ekta Dhawan and Mr. Jorawar Singh shared the self-discovery experiences of the students who are actively involved with the Award Programme and how those experiences benefit their institution and promote its growth. This orientation was one of the first major steps taken in the direction of the growth and expansion strategy of the Award where all the distinguished heads, decision makers and principals of the schools were involved. The IAYP team, in days to come, look forward to initiating and organising many such orientation meetings with heads and principals of schools.